We've launched our latest pedal product: the Sim Pedals Sprint! 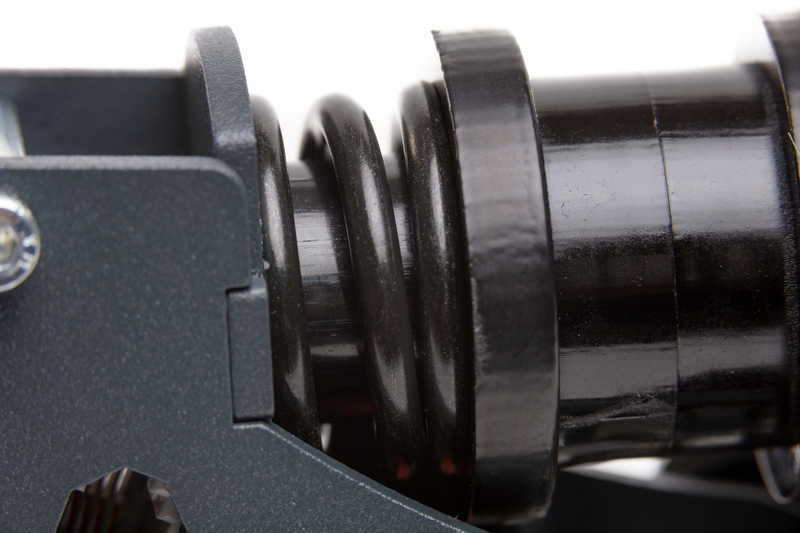 We’re very proud to announce that today we’ll release the first run of our latest pedal product, the Sim Pedals Sprint. Years of experience and all new testing methods have been used during the development of this innovative top-of-the line simulator product. We hope it will it will serve thousands of simracers around the world for many years to come. 3-pedal set: 699 EUR incl. VAT (EU) / 577,69 EUR excl. VAT (non-EU). 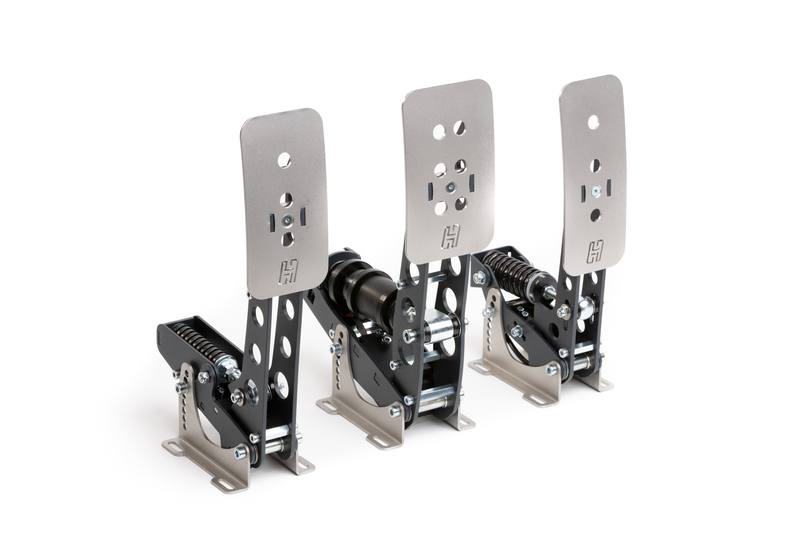 2-pedal set: 599 EUR including VAT (EU) / 495,04 EUR excl. VAT (non-EU). Optional Sim Pedals Sprint Baseplate: 89 EUR including VAT (EU) / 73,55 EUR excl. VAT (non-EU). These prices exclude shipping costs. Please note that for non-EU countries import duties may apply. Part of the new product stock will be sold through the Heusinkveld.com webshop, part of it will be sold through our resellers. Although our initial stock is the largest ever for a new Heusinkveld product, we have received a lot of interest so we cannot rule out that we will sell out. Please be assured that we have a large parts inventory and assembly is ongoing. If we do sell out, additional pedal sets will go on sale during the month of December. 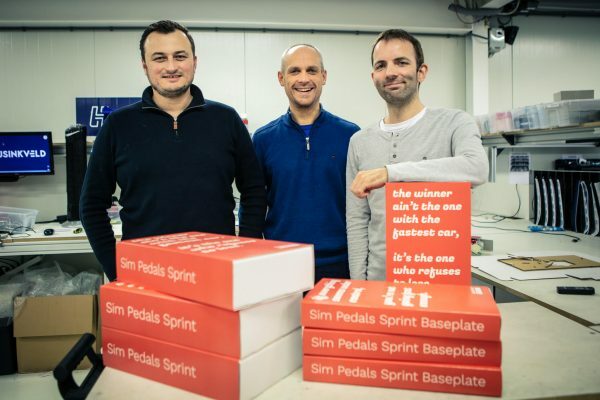 The launch of the Sim Pedals Sprint marks a major step for Heusinkveld as a company. This however would not be possible without a lot of external support. We want to take the opportunity to thank our 3rd party developers and suppliers who have worked with us on this project, our fellow employees for their hard work during assembly, testing and warehousing, our reseller network for being great partners, all sponsored simracing/Esports teams for being fantastic ambassadors and all affiliated Youtube and Twitch-partners for their enthusiasm. Most importantly, we want to thank our customers for all the support we received over the years. Without you this would not have been possible. Thanks!